Gaijin Kanpai! is Going to Sakura-Con!! 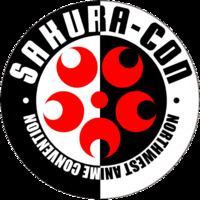 click to join us This afternoon, GK received approval for our Press Passes for Sakura-Con in Seattle! The Con will be held April 2nd-4th at the Washington State Convention and Trade Center. "But LoKi," you say, "Sakura-Con is an Anime convention and GK is a Japanese MUSIC site! Doubleyuu-tee-eff?!" Believe us, we're well aware. We've always tried to distance ourselves from the mainstream Anime stuff (unless someone wants to co-host an Anime podcast, ahem) but this year, Sakura-Con is welcoming one of our favorite bands, High&Mighty Color! H&MC were most recently discussed on GK #44 as releasing one of our favorite albums of the year, "Swamp Man", which is available for purchase over at JapanFiles. You can listen to our review of the album on GK #27. So that's why we're psyched to get our asses to Seattle! That and the fact all 3 of us will be together for the first time in person! Because it's an Anime Con, we'll probably be spending most of the weekend drinking heavily, checking out Seattle, and singing karaoke, so if you'd like to join us, send us an email or leave a comment!